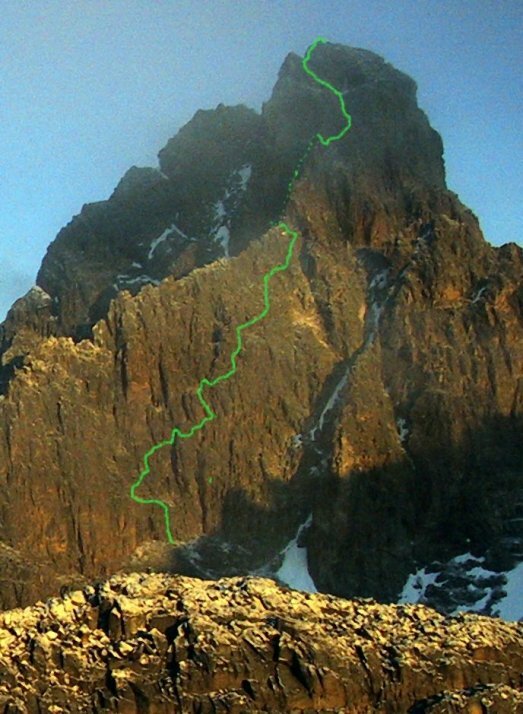 Mount Kenya is the second highest peak in Africa. Lenana Point 5001is a trekking peak a few hundreds meters far from the main summit. This trip is an excellent one for all levels of walkers with a climbing challenge for those who like to push that little bit more to reach a nice summit where probably you will be just few of you! Six days from the heat of Africa savana through jungle up to the glaciers. 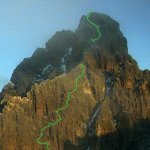 One long day of rock climbing on a 450m route, grade 4+ ( D) , to rich the 5250m of Nelion summit. For the main summit ock climbing up to grade 5, comfort on rappelling. Day 1	London to Nairobi, hotel accommodation. Day 2 transfer by car to Nanyuky village, hotel accommodation. Day 5 rest day short walk to give time to acclimatise and support better the next couple of days. Day 8 early start to return along the north route , crossing Shipton camp and after this no far the country car track where to stay over night. Day 9 4x4 transfer to Nanyuky and from here to Nairobi. Day 10 visiting Nairobi and a bit of surroundings ( wild life animals) . Late in the evening flight back to UK. Day 11 at 5a.m arrive in London. Porters they curry max 16kg, is strongly suggested not to ecxeede on weight . Price includes , Air fair with British Airline from UK to Nairobi return, transfers within Kenya , food and accommodation for 7 days during the climb, Porters and local guide, cookers, 4 nights in hotel midium range B&B, Mountain Guide UIAGM . Assurance for emergency rescue to the the first close by hospital during the trekking. ( no travel assurance). 3800 Euro per person for a party of 2. Is not including the rock climb but to rich the Lenana point early in the morning to contemplate the sunrise, return one day earlier toNairobiy and have one spare day for Photographic safari ( not included). 2600 Euro per persons, group 6-8 persons.